The Belgrade Center for Digital Humanities (BCDH) is a leading Serbian institution exploring the use of computational methods in the study of traditional humanities disciplines. 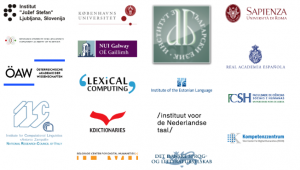 With a strong focus on data modelling, digital editions, standards-compliant lexicographic resources and the development of training materials, BCDH is forging an infrastructural approach to humanities computing with the goal of making historical, literary and cultural heritage as well as contemporary artistic production accessible, reusable, and open to creative computational interventions. BCDH is closely cooperating with the Institute for Serbian Language of the Serbian Academy of Arts and Sciences on a nationally-funded project digitizing Serbian lexicographic heritage and building a dictionary platform along with a set of tools and APIs for the scholarly exploration of lexical data. Toma Tasovac is director of the Belgrade Center for Digital Humanities. With degrees from Harvard and Princeton, Mr. Tasovac has more than 15 years of professional experience in the field of digital humanities. He is a recognized scholar in the field of electronic lexicography, with a particular focus on retrodigitization of legacy dictionaries, as well as a champion of humanistic infrastructure building on the European scale. He serves as the National Coordinator of DARIAH-RS; chair of the DARIAH-EU National Coordinators Committee, member of the Europeana Research Advisory Board; member of the CLARIN-DE/DARIAH-DE Technical Board, co-Leader of the DARIAH-EU Working Groups “Training and Education” and “Lexical Resources” etc.